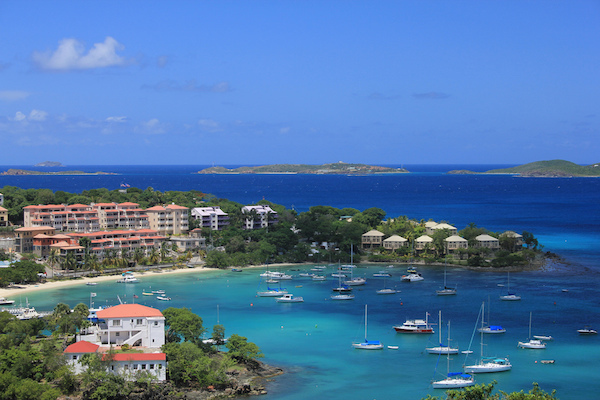 St. John is the smallest of the U.S. Virgin Islands. 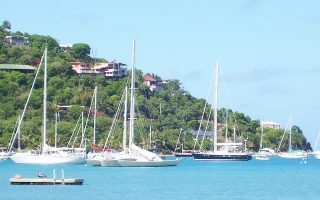 Tourism is the main industry on St. John, with Cruz Bay and Coral Bay the location of numerous shops and restaurants. Some 60% of the island’s land is protected by Virgin Islands National Park. 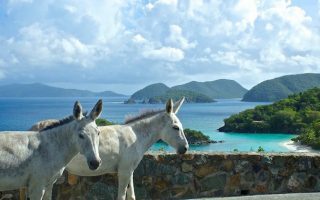 We’ve researched the places for running on St. John, but point out that the roads are narrow (few have sidewalks or shoulders), the trails steep and rugged, and even the nicest beaches are relatively short. 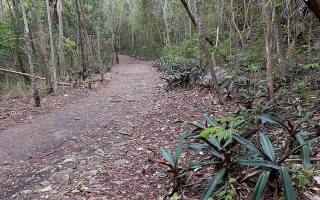 Some of the best places to run in St. John are within the National Park, mainly the Francis Bay/Johnny Horn Trail and the Lind Point Trail. In Cruz Bay, Great Cruz Bay Road is a roller coaster of a paved street running along the rocky peninsula. Note we also have separate guides for running in St. Thomas and St. Croix. This being the Caribbean, weather is warm and sunny throughout the year. There is not a lot of variation from month-to-month, with high temperatures typically in the high 80s to near 90F (29-32C). Nights are warm and muggy, with temperatures staying in the low-to-mid 70s (22-25C). August through November are usually the rainiest months. St. John is a little wetter than St. Thomas or St. Croix.